About this time last season I wrote a blog post about the best three-way rotating budget defenders for the forthcoming season based on the fixture favourability. The basic premise was to plan to have two premium defenders and then the final defensive slot in a 3-4-3 / 3-5-2 formation taken by a rotating cast of three budget (£4.5m or lower) defenders from mid-lower table sides. The post proved to be popular and the analysis did help me with player selection at the start of the season, so I have decided to do the analysis again for the 2017/18 season. The three new teams can often be a rich source of FPL points at a fairly low price and are therefore key to FPL success. Here I will assess the standout options from each club and in each position. The first stat we look at here is clean sheets, last season Brighton lead the way with 21, Newcastle just behind on 19 and Huddersfield way back with 12. With many FPL managers choosing to save funds for attacking options, cheap goalkeepers are always welcome. All 3 first choice keepers look set to be £4.5 million – a good price. However a record signing at Brighton, Matthew Ryan will replace the departing David Stockdale, looks to be, for me the standout option – 'save points' guaranteed and the odd clean sheet, fairly good fixtures after GW1 as well! Even though they kept 12 clean sheets last season, Huddersfield have the best option in my opinion: Tommy Smith, the right back had an amazing season. He scored 4, assisted 10 and kept 12 clean sheets in 45 appearances. Smith has shown he loves to attack and defenders like this, especially in the lower price brackets can be vital. Lewis Dunk from Brighton can also push for a place in our teams as part of a low – budget rotation strategy. After the GW1 clash with Man City he has fairly strong fixtures – home ties against West Brom and Newcastle the pick of the first six. Scorer of two goals last season. Newcastle skipper Jamaal Lascelles helped himself to 3 goals and 2 assists in 43 League appearances along with 19 clean sheets. If priced at 4.5 Million he could be a great option in the early stages of the season! At first glance this looks to be the position with the strongest potential for FPL points. Brighton boost the Championship player of the year Anthony Knockaert – an almost ever present in the Brighton starting 11, making 44 starts and 1 sub appearance. He scored 15 times and laid on a further 8 for his team mates. These stats are exceptional, if he can keep up his Championship form he certainly could nail down our 5th or even 4th midfielder slots. Matt Richie is another name to mention – the Newcastle playmaker – A key part of Rafa Benitez’s midfield providing 16 goals and 9 assists in all competitions. To further strengthen his appeal, he is on free kicks and penalties. Purchase with caution though – he struggled to make an impact in his first EPL campaign with Bournemouth! Both of the Championship’s joint highest goal scorers will play in the Premier League next season and both have played there before. Dwight Gayle and Glenn Murray, Newcastle and Brighton respectively. The Newcastle talisman chipped in with 23 goals in only 32 league appearances, considering he missed a large part of the season through injury – these are extraordinary numbers. He also provided 4 assists. Murray was just ahead of Gayle assist wise and level on goals. Both these players have the potential to take our 3rd striker spot however it promises to be a crowded market with Benteke, Llorente and Defoe all proven FPL points scorers. 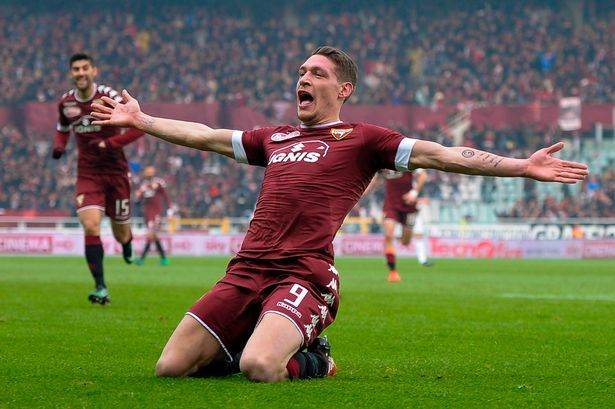 The 23 year old Italian forward has been touted as a future star in recent times after bursting onto the scene with Torino in the 16/17 campaign, registering a staggering 26 goals and 7 assists. Belloti’s scoring prowess accounted for 37% of his team’s seasonal goals. This has sparked the interest of both Manchester United and Chelsea who are looking to transfer in new centre forwards to their squads. For FPL managers, the signing of Belloti to either premier league powerhouse could spell golden points returns. However, the price tag placed on the young forward’s transfer by Torino (£84million) has halted Man Utd’s push, allowing Chelsea to swoop, should the sale of Diego Costa manifest. FPL managers would be silly not to select Belloti in their squads if his transfer occurs, as he registered 3.8 shots on target per 90mins in the last Serie A season, along with 1.1 successful take-ons per game and a key pass every 56.2 minutes. Additionally, Belloti was fouled on average 3.6 times per game. This proves that Belloti is an active forward that gets on the ball and takes responsibility for his positional role. Belloti could be a bargain pick up in comparison to his forward counterparts. Ҫalhanoğlu has been a dynamic player for many consecutive seasons in the Bundesliga. However, season 16/17 wasn’t the Turk’s best season to note of, having only managed 15 league appearances over the course of the entire campaign. 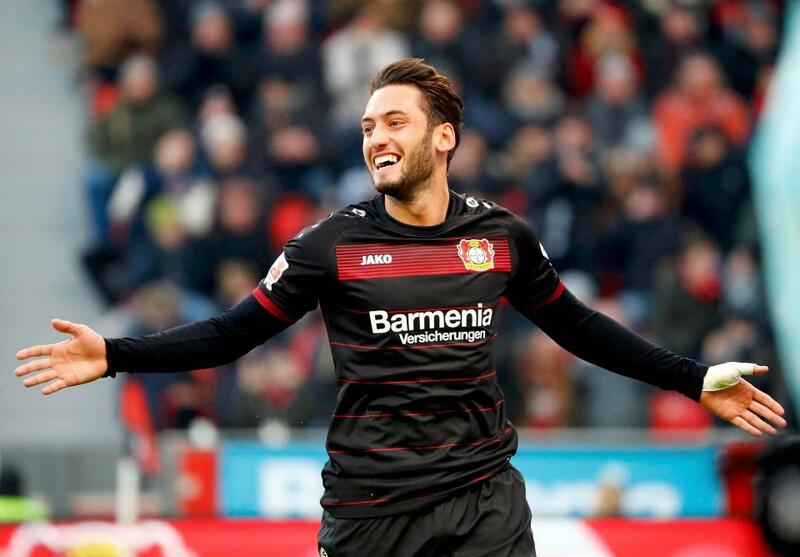 Although he had low appearance numbers, Ҫalhanoğlu doubled his scoring output from the previous season, snapping up 6 goals. With limited minutes and Leverkusen finishing below mid-table, the Turkish international has been linked with a move away, with Arsenal currently leading the race for his signature. With his wizardry dribbling and excellent long-shooting in addition to his majestic free-kick ability, Ҫalhanoğlu has the potential to thrive in the Premier League – especially with an Arsenal side that loves to possess the ball. The interchangeable midfielder and often make-shift centre-forward could spell good news for FPL managers wanting an Arsenal player in their squad when they have a good run of fixtures but can’t afford Alexis Sánchez (should he stay) and have given up putting faith in Theo Walcott and Mesut Özil. The crafty playmaker was instrumental when he played in the Bundesliga last term having a shot every 25.7 minutes and orchestrating a shot assist every 42.8 minutes making him one of the most influential players in the Bundesliga. If this form transfers over to the Premier League, along with him being a certainty to be placed on set-piece duty, FPL managers are in for a treat. What can you say about Morata besides the fact that he loves playing for big clubs. The young Spaniard has been an above average striker for the better part of 4 years but has never been entrusted to lead the team he has been playing for, often playing second fiddle to other big names like Karim Benzema. If a move to the Red Devils comes to fruition, it is likely that he will slot straight into the void left by Zlatan Ibrahimović at the spearhead of United’s attack. 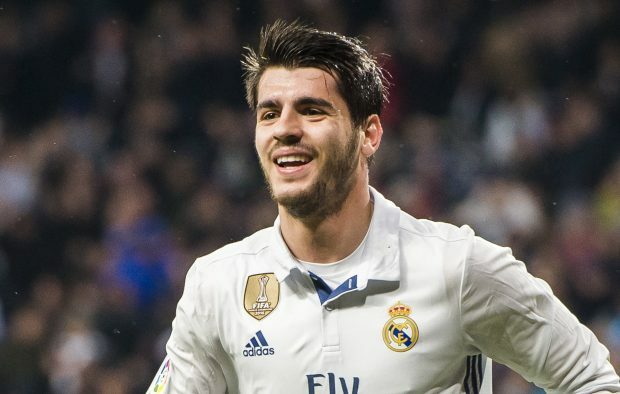 With a regular starting spot Morata could work wonders for FPL managers, as it would provide more depth in the striking position for squad selections. At almost a certainty to be a cheaper price than most other strikers (Kane, Aguero, Lukaku, Costa), Morata possesses the ability to score and create just as much offensively as his counterparts. Scoring 15 goals for Madrid in season 16/17 after only featuring in 14 games from the opening whistle and a further 12 from the bench, Morata knows how to find the back of the net. He is a very efficient scorer, only having on average 2.1 shots per game, but 1.8 are from inside the box, meaning he is a true out and out striker with exceptional poaching skills and aerial prowess. These are all good skills to be a successful FPL point’s scorer which is what FPL managers want. WFC believes that if Morata is in the Premier League this upcoming season it is highly probable that he will break the 20 goal barrier, however, a lot of his goals will come from crosses and balls played into him – not maze dribbling self-constructed goals, meaning with Morata’s acquisition the potential of Pogba, Mata, Mkhitaryan and Martials points returns also increase. 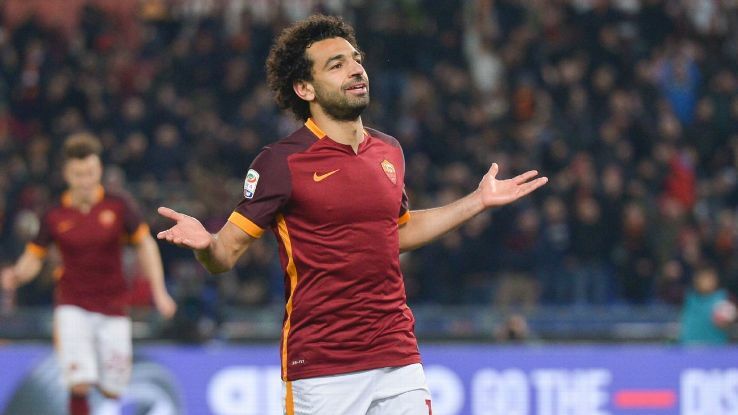 Since leaving Stamford Bridge and moving to the Serie A with Roma, Salah has come on in leaps and bounds. This has caught the eye of Jurgen Klopp, with the Egyptian almost certain for a return to the Premier League. For FPL managers, the transfer of Salah back to the Premier League might not sound to enticing after his first stint with Chelsea that promised so much but delivered so little, after never truly breaking into the team as a nailed on starter. For the past 2 and half seasons in the Serie A (on loan and permanent transfers), Salah has scored 35 goals in 81 total appearances. Season 16/17 was Salah’s most productive and effective to date in his career, amassing 15 goals, 11 assists and winning man of the match on 4 separate occasions in the league. At 25 years old, Salah is moving into the prime of his career and a move to Liverpool could spark him to jump to another level in ability. For FPL managers looking for attacking options, Salah could provide another handy option, as joining Liverpool would mean he is moving into a well-developed attacking force that scores a lot of goals that come from direct assists. Salah’s 2.9 shots and 2.6 key passes per game ranks him higher than current Liverpool players in comparable positions, Sadio Manè for Shots (2.1) and Coutinho for key passes (2.5) who both had similar amounts of league appearances – Salah (31), Manè (27), Coutinho (31). If Salah’s Serie A output can be replicated he could level or even eclipse to FPL points tallies registered by Manè or Coutinho in the past season. Re-entrusting Salah could be a worthy FPL consideration. With the 2017/18 Fantasy Premier League (FPL) release fast approaching, it's time to start thinking about who will be in your team. 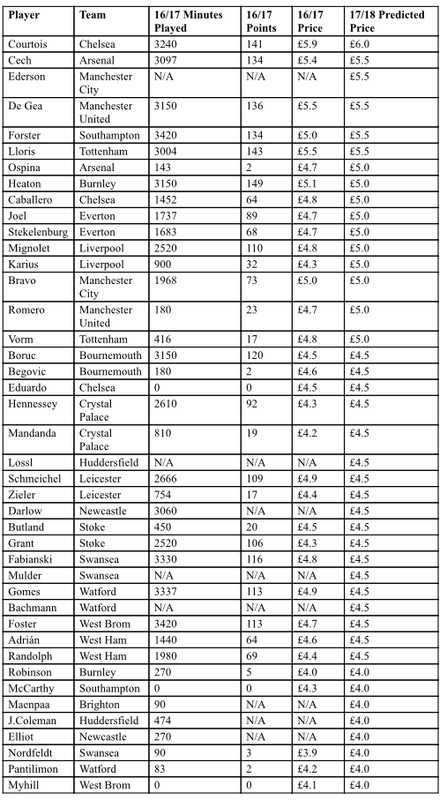 So, we at WFC have compiled a list of possible prices for all Premier League players who could be viable FPL options. Craving a bit of fantasy football fun during the off-season? Look no further! The FIFA Confederations Cup will take place between 17th June and 2nd July. The folks over at SuperBru are running a predictor game for this tournament. I have set up a league (or 'pool' as they call it) - no prizes, just for bragging rights. Feel free to join. All welcome, by signing up here.